What's in a name? If you are talking about the Internet, then the answer is everything. 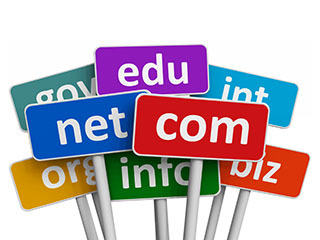 A domain name is your company identity on the Web. When you register a domain name, your website will become accessible at "www.company.com" and you can be e-mailed as "you@company.com"
A global domain addresses can be useful for multinational companies who wish to create a global brand name. It can also reduce the overhead incurred as a result of maintaining a website for each country in which you do business. This type of address can be useful when trying to create / improve awareness of your business within a particular geographical area, and can help you to create a more personal relationship with your customers.